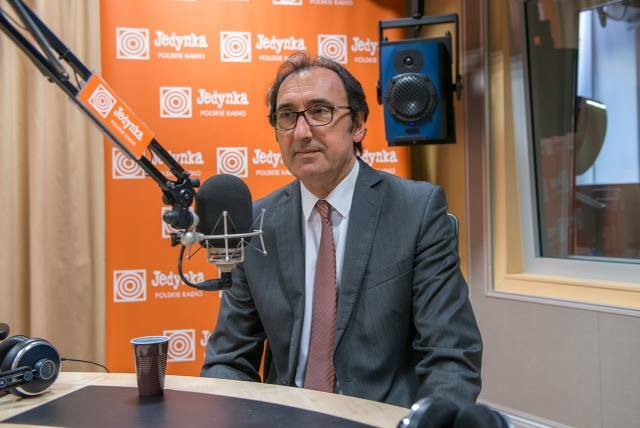 Thurday, March 23- Ziyad Raoof KRG Representative in Poland was a guest of Michał Żakowski in the radio broadcast “Pulse of the world” in the Channel Two of Polish Radio Station. The discussion concerned the ongoing operation of the liberation of Mosul and its consequences for the humanitarian situation in the region. Ziyad Raoof said that recapturing the city is hampered by dense populations, narrow streets and the Islamic state uses refugees as live bombs. Ziyad Raoof pointed out that due to the thousands of refugees fleeing Mosul humanitarian crisis is deepening. Refugees have already packed all refugee camps and hospitals, also in Erbil. Consequently, Ziyad Raoof once again appealed for humanitarian aid and support in rebuilding Mosul and the other destroyed cities. Ziyad Raoof warned that otherwise Europe will have to struggle with another wave of refugees.